Laura started gymnastics at 3 years old as her mother was a PE teacher and introduced her to it at a young age. She trained and competed throughout her childhood, reaching a national level. She also coached gymnasts whilst at school and university.Laura had a successful career for 16 years in the wellbeing & beauty industry, gaining valuable experience in providing clients with services & products to answer their needs and concerns. During this time her passion for Pilates began. Laura initially trained with Stott before discovering JPilates, where she continued her training with Jo who provided mentorship and various other Pilates courses and qualifications. Laura discovered a passion for Reformer Pilates and has since built a Reformer studio at home. It was during her first pregnancy that she discovered the benefits of Pregnancy Pilates. During her second pregnancy she went searching for Birth Preparation techniques to improve her confidence. She realised it was predominately Yoga classes offering this combination of exercise and birth knowledge and realised there was a need for a Pilates equivalent. 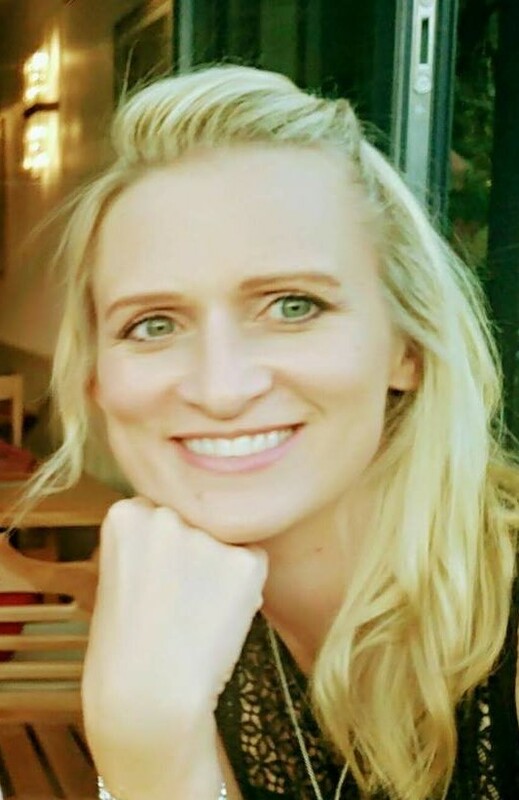 As well as her Pre and Postnatal Pilates training, Laura took various Advanced Postnatal Recovery courses and an important part of Laura’s development was becoming a FEDANT-approved Antenatal Educator. After her first pregnancy she realised that she needed both physical and mind preparation. At that time she had to go to multiple sources to find the physical experience and educational information she wanted. Realising pregnant mums would benefit greatly, from a single Pilates based course, combining all elements.Laura soon created a comprehensive Pregnancy Pilates course which covered Birth Preparation knowledge & techniques to help expectant mothers.Using her 8 year’s experience teaching this client group Laura has since created a NATAL WELLBEING COLLECTION of webinars for Pilates instructors. You are about to launch Birth Confident Pilates, can you tell us more? This webinar series has been designed to provide Pilates instructors with the opportunity to enrich their knowledge and class content, to incorporate Birth Preparation within their pregnancy Pilates classes. Providing clients with a complete experience, for their body & mind, including Exercise, Preparation & Knowledge. The Natal Associate (Instructor) network provides instructors with support, mentorship and constantly updated knowledge whilst working with this client base. Can you share the path you have taken to create this Webinar series? What was your main inspiration for creating the webinars? Providing more Pilates instructors with the content and knowledge to provide their clients with this complete experience. There are three webinars to listen to, from the comfort of home. These will explain all background learning, knowledge and understanding. Once complete the content will be demonstrated across 6 pregnancy Pilates classes as a starting point (to start teaching confidently straight away). Postnatal modules with follow as the Associate Instructor network expands over time. What about you as a Pilates Teacher, how would you describe your style of teaching? I enjoy working with clients who feel they are getting a bespoke class which really answers their needs. Pregnant clients – I like to ensure they achieve a full body workout which mobilises and stabilises, leaving them feeling great. Postnatal clients who take a valuable hour of time out need to feel good and feel progress. Beyond my weekly classes I like to share the knowledge I’ve acquired over time, especially as I work within quite a niche section of the market. By networking and connecting with other wellbeing professionals within the same sector I can offer my clients more. The course I’ve created saves our clients time, energy and money. Seeing clients build confidence feels really good. The same applies to building the confidence of instructors by providing them with the benefits of enriching their class content. I have a large client base which is mainly pre or postnatal mothers. They come to enjoy the benefits of movement, knowledge & confidence. What are you planning for the next 12 months? I believe there is a lot to be gained by combining Pilates movement with birth preparation and confidence techniques. I will provide mentoring support for any instructors who want to provide the services I offer through the webinars. I look forward to providing a postnatal webinar series. I will continue to build a Natal Associate (Pilates instructor) network for support and to share ideas and inspiration, offering pregnant women so much more, This is high on my agenda for the next year. Pregnancy, labour & birth, and parenthood is very subjective. However respectful, objective knowledge is empowering when it enables women to make their own informed decisions and choices. Working with such diverse clients, providing all of them with a ‘Feel Good’ side of their diverse lives, all with very different needs. Don’t underestimate the importance of physical and mental health. Don’t feel afraid to work with different client groups, no questions are silly questions when you are training. Watch and learn from various styles and then stay true to your own personality and delivery style. Remember why you fell in love with Pilates in the first place. Enjoy this wonderful career, keep learning, keep evolving. Remember to enjoy your working life. Swan Dive and I have a love hate relationship but it’s an exercise I build into every single class. Within a network of confident pregnancy and postnatal Pilates Associates (instructors), all known for providing innovative, valuable classes for Natal Clients. Laura has used a decade of experience working with thousands of pregnant clients, along with years of study, research & writing, to create a NEW webinar series to share with Pregnancy Pilates Instructors. Visit her online at natalwellbeing.com or on Facebook Natal Wellbeing.